“Cecil, The Lost Sheep” is a series of picture books for children written by Andrew McDonough. In 1989, when Andrew was a young Bible college student, he was asked to give an inspiration talk for children at one large church. By using his drawing talents, Andrew created a great illustrated story for children, featuring Cecil, the Lost Sheep. Today, Andrew McDonough is a well-known creator, illustrator and writer of many incredible and inspirational children books. Because his story was quickly accepted by the audience, Andrew created few more stories featuring Cecil. His stories became popular and were used by many other pastors, teachers and students all around the world. Andrew McDonough was very optimistic and his mission was to make “Cecil The Lost Sheep” an inspiration for the future generations. The story of “Cecil, The Lost Sheep” is simple, but superbly presented and illustrated. The main goal of this book is to teach children about the love of God and to inspire teachers and preachers to tell stories like these to little children. The other volumes of the series are also interesting and widely accepted, including “Basil the Branch”, “Bob the Bird” and “The Good Samaritan”. 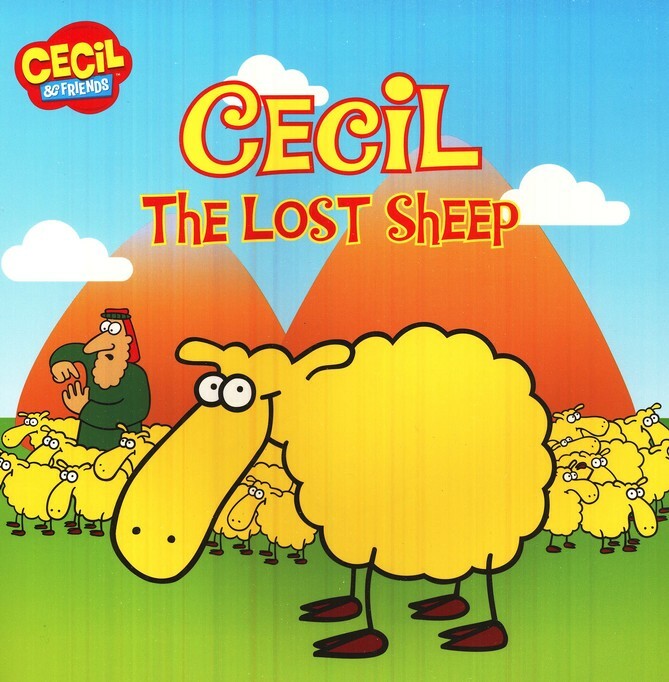 The story features a shepherd who has a flock of 100 sheep with Western names, such as Kevin, Meredith, Kevin, Annette, Michael and the main character Cecil. Cecil is a sheep with a boring life, just munching grass every day and drinking water from rivers like all other sheep. But what he really wants is a life full of adventures. His dreams is to run away to sing in a hard rock band and to drive a motorcycle with cool sunglasses. One day, Cecil escapes from the flock and goes into the mountains. Unfortunately, the things did not come out as he expected. Cecil got lost, become scared and very hungry. He want the shepherd to find him, but also is worried what the shepherd might do to him because he ran away from the herd. However, the shepherd quickly follows the tracks of Cecil, finds him and brought him home to safe. He even organized a party for all the sheep with ice cream, cake, drinks, hats and balloons. The mission of Andrew McDonough was complete: the children loved the character of Cecil The Lost Sheep and learned something about the love of God. Some may judge that the silliness in the book are exaggerated, but the main point of “Cecil, The Lost Sheep” is that the shepherd, Jesus, will hear our voice and will save us when we need help.